Two weeks ago my company lost our long-term employee and the everyone's friend Elliott. He was just 47. He is greatly missed. 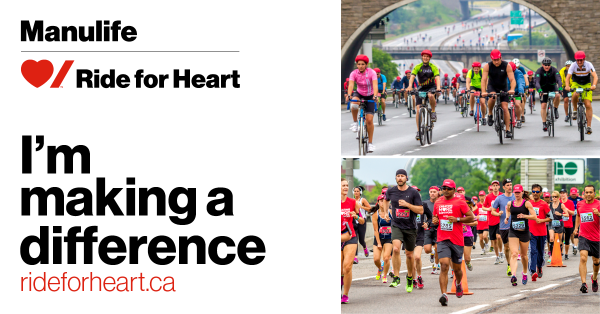 In memory of Elliott I’ve registered to participate in the 2018 Ride for Heart on June 3 and raising money for Canadian research funded by Heart & Stroke. It was always apparent that family history played a role in our risk factors for heart disease and stroke. But I do not believe it fate, I don’t believe our genes should be our destiny. I do believe in science, progress and people. With the right funding, doctors predict they could unlock the genetic puzzle behind cardiovascular disease within as little as five years. Just five years. Think about the millions of lives could be saved. You can help by making a tax-deductible donation and your gift will be an investment in the prevention and treatment of cardiovascular diseases and the future of heart disease and stroke patients. Every dollar makes a difference, so any contribution you can make is greatly appreciated! If you want to join me, let me know.